Prospective Tata Hexa customers can now simply visit the Tata CLiQ website get a virtual experience of the Hexa SUV and also book it online for ₹ 11,000. The user interface is pretty simple and is akin to buying maybe a book or appliances online. Customers can also book test drives, discover more about the features of each and every trim and also figure out the location of the nearest Tata showroom as well. 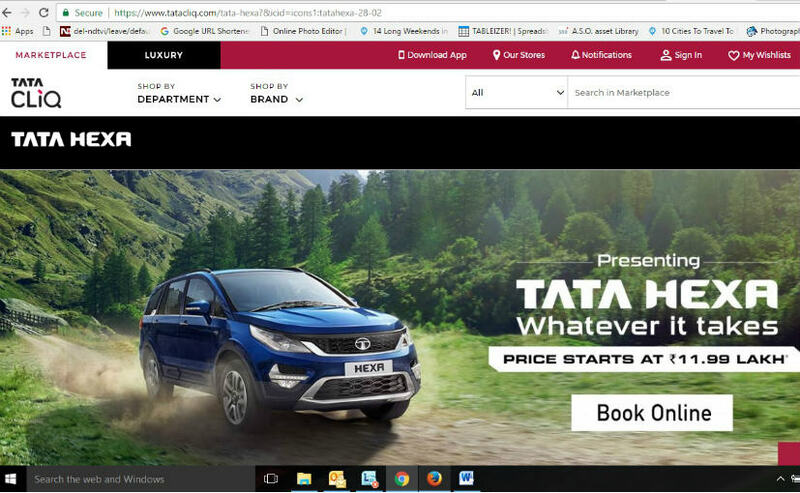 Apart from checking out the Tata Hexa SUV, customers can also browse through a variety of other products and services on the Tata CLiQ website such as apparel, electronics, footwear etc. Vivek Srivatsa, Head of Marketing, Passenger Vehicle Business Unit, Tata Motors, said, "With rapidly changing digital landscape, brands across industries are aligning themselves to adjust and conform to the interactive world. Adressing this digital shift, we are delighted to partner with TataCLiQ.com for our recently launched lifestyle vehicle, HEXA. As we are targeting a far younger set of buyers, we believe this partnership will help us reach out to the right set of customers in a more effective way." 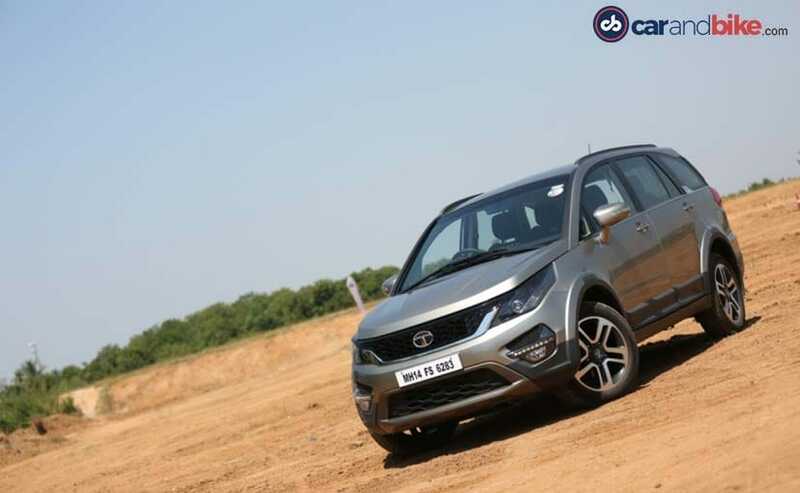 The Tata Hexa is the latest launch from Tata Motors and the first SUV to be launched under the HorizonNext vision that was launched five years ago. The Hexa SUV gets a 2.2 Litre VARICOR diesel engine in two states of tune and is loaded with creature comforts such as Super Drive Modes and excellent in-car connectivity options. The prices for the Tata Hexa start at ₹ 11.99 lakh (Ex-showroom, Delhi).